How would you describe the life of professional poker player? As taught by Hollywood, professional gamblers mostly have the rags to riches story. Once they hit it big with their skills, it’s all about being surrounded by money and skimpily-clad girls. However is that all the life of a professional poker player is all about? Well, not really. In fact, professional poker players don’t lead a life all that glamorous. Ask any professional player, and he/she will probably reply saying that their life deals around a bit of luck and a lot of hard work, skills and patience. In fact, some of them do not even reveal their real identity out in public. Dave (name changed) is one of them. He is a full-time poker player, but for people he does not know, he is an IT professional. Why does Dave choose to keep his identity under wraps? Is it because gambling is not regarded as the best professional by the society? For him, the reason goes beyond that – to stay away from tax related and legal issues. Dave got into poker by fluke, five years ago. He was enjoying a break from work when he got tried poker for the first time. He made around $40,000 in just two months. 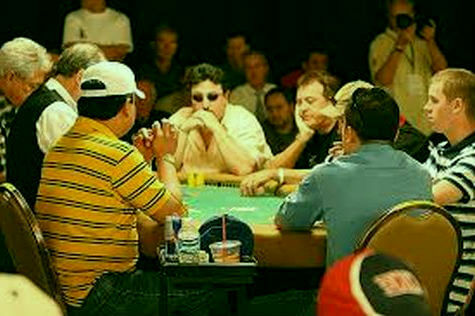 That is when he decided to work as a full-time poker player as it seemed like an easy way out to him. Though he is reluctant about letting out the exact money he has earned from his ‘job’, he already has his own house, which speaks for him. On an average he either makes or loses $2000 per day. Dave also has an insider’s piece of information for budding players. He says that the chances of winning in poker are greater than in any other game, provided you play it long enough. Usually he plays for around 10 hours every day for five days of the week. With that, he makes a profit of around $13,000. Another quick-tip for poker players wanting to try their luck at the game: select a table with amateur players, which will increase your chances of winning.